I chose to do a picture this Macro Monday of my Hardy Hibiscus. This plant had a challenging start as I received it from a friend last Fall, and it sat root bound in a black plastic trash bag until this Spring. I was sure it was dead, but we stuck it in the ground anyway, and about a month later a few pale green sprouts presented them selves. 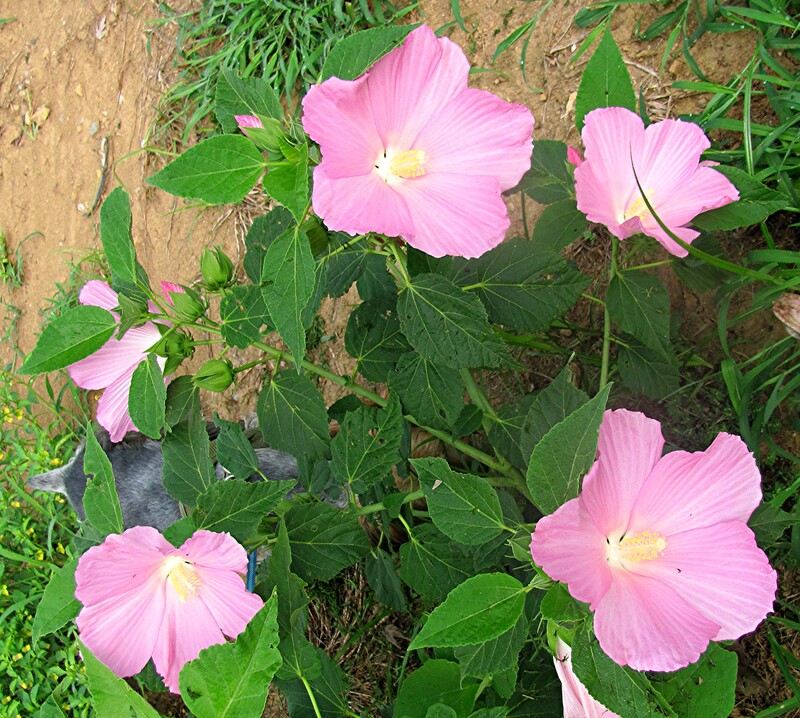 It has grown into a large beautiful bush with at least six big beautiful blossoms. I know this isn’t macro but this is a picture of the plant. 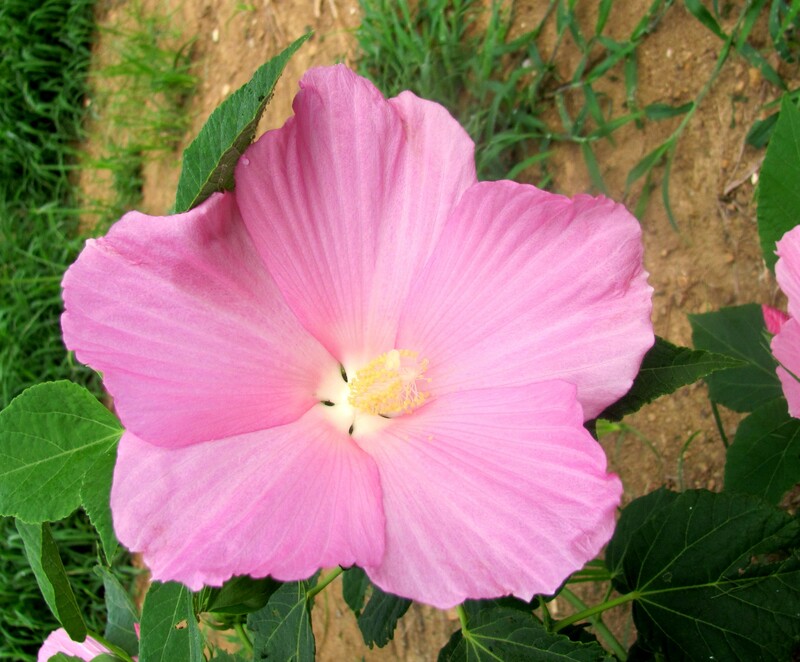 This entry was posted on July 30, 2012 at 11:47 am and is filed under Uncategorized with tags Hardy Hibiscus. You can follow any responses to this entry through the RSS 2.0 feed. You can leave a response, or trackback from your own site. Sometimes our plants are very forgiving of our shortcomings. I’m so glad this little beauty made it. Di that’s one beautiful hibiscus! You couldn’t ask for a prettier shade of pink.